Jed Weinstein Presents hosted BOX NYC on Thursday night at the Roseland Ballroom in New York City. The evening was headlined by local undefeated prospect Will Rosinsky against Ariel Espinal and also featured the elegance of a supper club, a charity poker tournament and the bawdy comic energy of a downtown cabaret. The evening was a pugilistic carnival where fights were mixed with musical and burlesque acts and the vaudeville- inspired emcee "Gazillionare" provided entertainment and introductions of the various acts. Also hosting the event was NFL linebacker Dhani Jones from the Cincinnati Bengals and Travel Channel’s Tv series "Dhani Tackles the Globe". 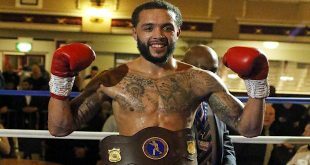 The light heavyweight main event was dubbed a turf war with Queen’s Rosinsky putting on a dominating performance over Brooklyn local Espinal. Rosinsky, 11-0 (6), did not give up a round, winning by scores of 80-72 on all three judge's score cards. Although Espinal, 8-13-3 (4), came in as the clear underdog he came to fight and showed ring toughness by taking Rosinsky’s best shots and refusing to go down. 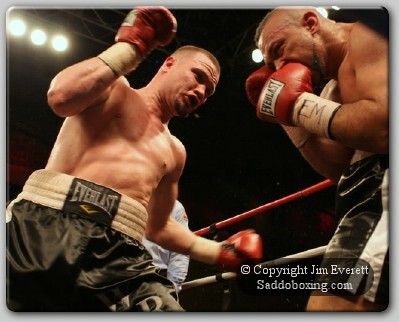 Rosinsky fired away from the opening bell landing straight rights to the face and hooking to the body of Espinal. In the first two rounds it looked as if Rosinsky would have a short night in front of him but Espinal absorbed his best shots well. 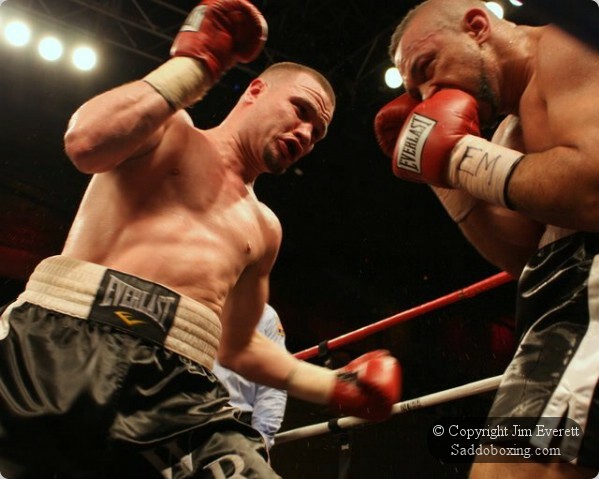 During the middle to late rounds Rosinsky got a bit comfortable with his opponent, dropping his hands at times and giving Espinal an opportunity to remind him he could still be a threat by landing the occasional shot. Had Espinal been a little more aggressive and active he may have been able to make it more of a fight. In a heavyweight co-feature, Maurice Harris, 23-14-2 (10), won a unanimous decision against Robert Hawkins, 23-15 (7), by scores of 80-72 from all three judges. 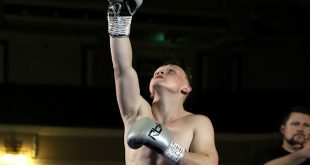 Hawkins came out aggressive in the first half of round one and showed good movement but was met with the jab of the taller Harris, which tamed his early aggression. The long jab of Harris seemed to affect Hawkins, who threw punches sparingly for the rest of the fight. 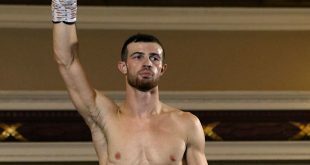 Although Harris used his jab and hook effectively, he showed no urgency to try to finish his opponent and seemed content with doing enough to win each round on the scorecards. Hawkins moved well through out the fight, moving his head well but simply did not throw many punches. In a super bantamweight barn burner, local Brooklyn fighter Elton Dharry, 4-5-1 (1), won a majority decision over Eilon Kedem, 10-3-4 (6), with scores of 59-55, 59-54 and 57-57. 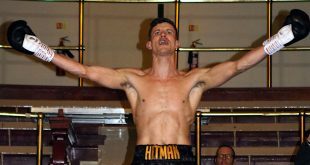 The action was non-stop from beginning to end with Dharry landing clean hard shots through all six rounds. Both fighters gave their all and were bloodied in the later rounds. During the last round, the fighters stood toe to toe with each other, exchanging hard blows with Dharry landing slightly more than Kedem. In the opening bout, heavyweight Ramaden Yasser, 2-0 (2), made short work of Patrick Johnson, 0-3 (0), scoring a TKO at 2:16 of the first round. Yassar threw only wide power shots to the completely defenseless Johnson, who was down twice by a left hook to the head and a looping right to the chin. The referee stopped the bout after Johnson was unsteady on his feet after the second knockdown. It takes a lot of courage to step into the ring as a professional fighter but based on Johnson’s record of 0-3 (all losses by knockout) and witnessing his “performance” first hand, he may want to think about another line of work rather than risk potential long-term injury in the ring.